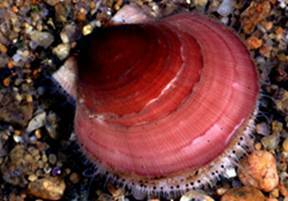 The sea scallop (Placopecten magellanicus). Todd Gedamke studied the efficiency of the New Bedford style scallop dredge on Georges Bank (off Massachusetts) and estimated the fraction of the scallops encountering the dredge that are retained by the dredge. This is important for converting survey results (number of scallops caught per unit area swept by the dredge) into estimates of absolute abundance. (See Gedamke et al. 2004, 2005). John Walter extended some of Todd’s work and produced maps of scallop abundance using the geostatistical technique known as kriging. Noelle Yochum studied the selectivity of the scallop dredge, i.e., the relative catchability of different sizes of scallops. 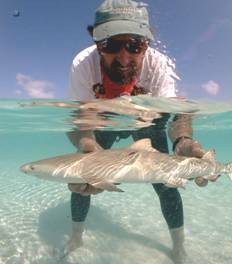 My friend and colleague Sonny Gruber with a juvenile lemon shark in Bimini, Bahamas. We estimated that young of the year lemon sharks have an annual survival rate of around 50% and this rate varies with the abundance of young sharks in the lagoon. (See Gruber et al. (2001) and Gedamke, Hoenig, DuPaul, Musick and Gruber (2007)). 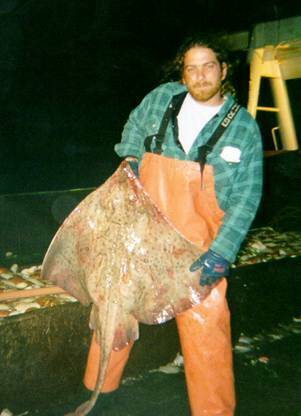 Todd Gedamke with a barndoor skate (Dipturus laevis) on Georges Bank (off Massachusetts). Todd studied the age and growth, mortality rate, stock-recruitment relationship, and intrinsic rate of population increase of this species. (See Gedamke et al. 2007). A tagged American shad (Alosa sapidissima). I have been studying this species with my colleague John Olney. With his student Kristin Maki, and with our colleague Rob Latour, we studied maturation, abundance estimation, stock composition, and other aspects of the biology of this species. See Maki et al. (2006, 2002, 2001), Olney et al. (2003), Wilhite et al. (2003), Olney and Hoenig (2001), Olney et al. (2001). 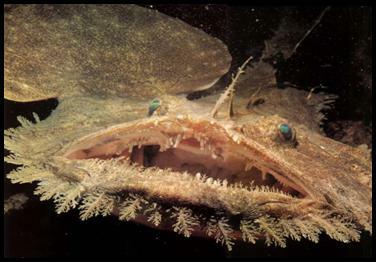 The monkfish or goosefish (Lophius americanus). Todd Gedamke and I developed two methods for estimating mortality rates from survey data and applied the methods to this species. See Gedamke and Hoenig (2006) and Hoenig and Gedamke (2007). “Pots” (traps) used to fish for southern rock lobster in Tasmania, Australia. 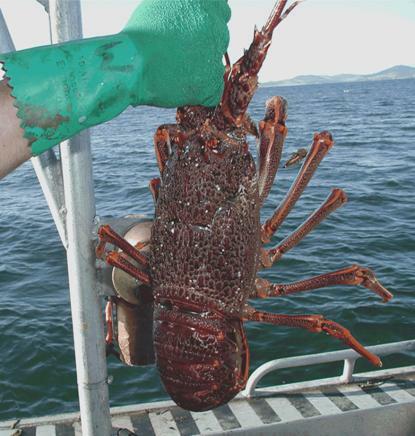 A nice southern rock lobster (Jasus edwardsii) taken off the coast of Tasmania. My student Stewart Frusher and I analyzed various kinds of data to determine if large lobsters inhibit smaller ones from entering traps. 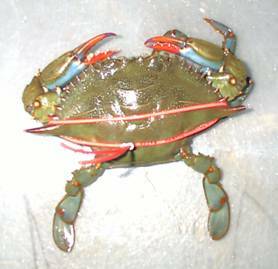 This is extremely important because catch rates of lobsters in traps are used to monitor relative abundance over time. If the catch rate of small (sublegal sized) lobsters remains constant over time then this might be considered as evidence that recruitment (production of small lobsters) is stable. 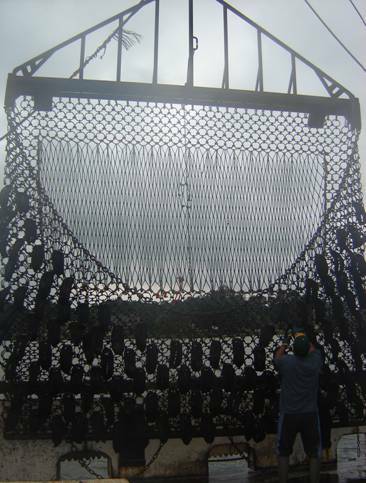 However, it appears that large lobsters inhibit smaller ones from entering traps. Therefore, if large lobsters are fished down, and small lobsters then enter traps more readily and thus are more catchable, we might not notice a reduction in recruitment. Stewart and I also estimated fishing and natural mortality rates from tagging data. My student Tom Ihde worked with Stewart to conduct a field experiment to investigate size-dependent behavioral interactions affecting catchability of lobsters. He also developed new index-removal estimators of abundance, catchability and exploitation rate and applied the new methods to southern rock lobster populations. See Frusher, Hoenig and Ihde (2007); Ihde, Frusher and Hoenig (2006); Frusher and Hoenig (2003); Frusher, Hoenig and Gardner (2003); Latour, Hoenig, Hepworth and Frusher (2003). A hawksbill turtle off South Caicos Island, Turks and Caicos Island. 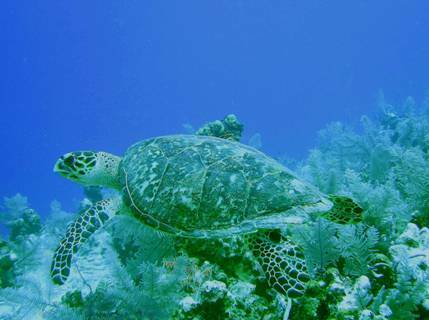 We saw this turtle while diving with South Caicos Divers, a commercial dive operator. 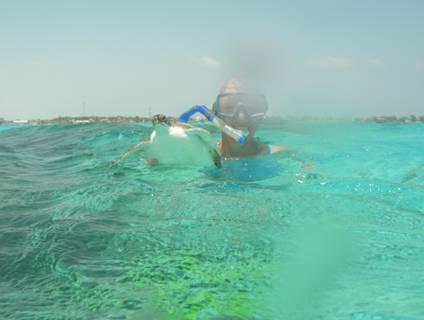 My wife Nadine with a small green turtle on Caicos Bank near our living quarters. The School for Field Studies has been tagging hawksbill and green sea turtles. I am working with an intern at the School and the former director to describe turtle growth from the information on size at tagging, size at recapture, and time at liberty.